They say that moving house is one of the most stressful things in life and can strain the relationship between couples so much that house moving has been cited as the 3rd most influencing cause of divorce! Is that crazy or what? What no one ever seems to report is that, often times, when we move house, that's when we discover interesting and valuable items which we had stored away somewhere and had forgotten all about their existence until then. When I moved house a few months ago, that's exactly what happened! I came across a folder labelled 'Roulette: Work-In-Progress' and there were some real gems hidden in that folder which I had almost completely forgotten about until the folder resurfaced that day. When I published 'Roulette Reverse Dynamic-D' or RRDD in 2017, I never expected to write another book on roulette! I really thought that was the last in-depth study I was ever going to write-up simply because it is really tedious with all the step-by-step manual charting that goes into all my systems. 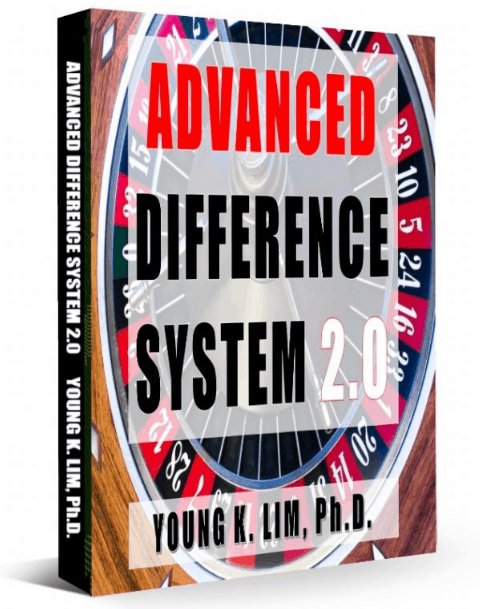 However, using my forgotten notes, I did some testing and tweaking and the improvements that I have made to 'The Difference System' [TDS] originally published in 'Roulette Secrets Unveiled' are quite significant and I just had to write it up. I ended up with just over 120 pages of content for the new book which is entitled 'Advanced Difference System 2.0' [ADS 2.0]. Having played over 300 sessions with it, I can also state unequivocally that ADS 2.0 is now my most preferred system when playing roulette. Click this link to read all about it and discover why you too should adopt ADS 2.0 as your system of choice! Exciting times are ahead and I wish you all the very best always!